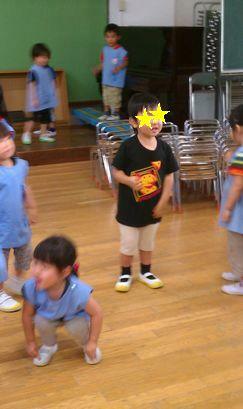 Last Tuesday I went to the kindergarten and had lunch with my little monster. He gave me a mat he had made with his teacher. 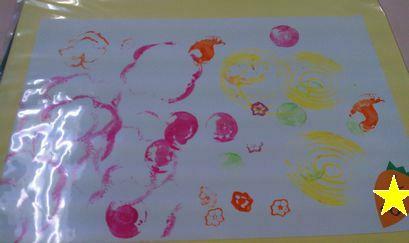 The mat had been stamped with vegetables. After lunch he danced with his friends so happily!